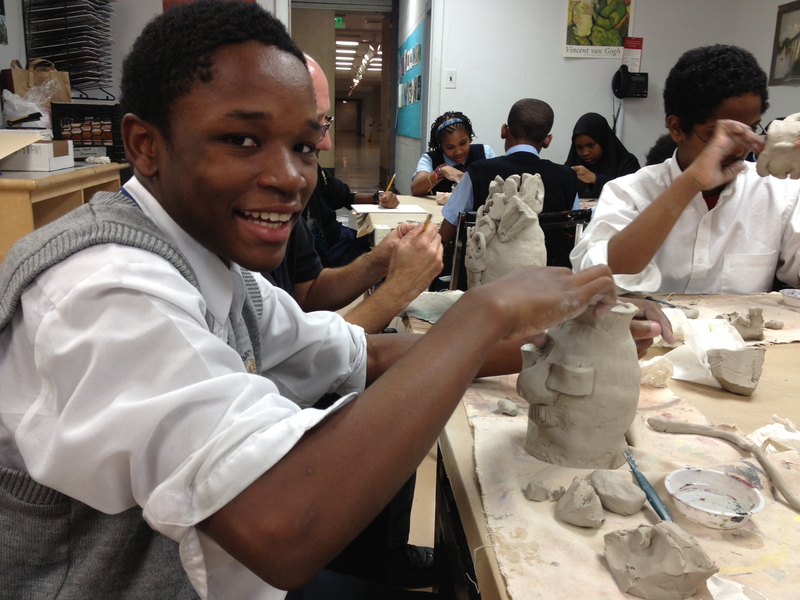 The Delphi Project Foundation Programs at the Philadelphia Museum of Art include the Delphi After School Art Club, Delphi Art Partners, Delphi Art Futures and The Delphi Summer Teen Media Program. The Delphi After School Art Club is a comprehensive after school arts education program held over a twenty week period at the Philadelphia Museum of Art. 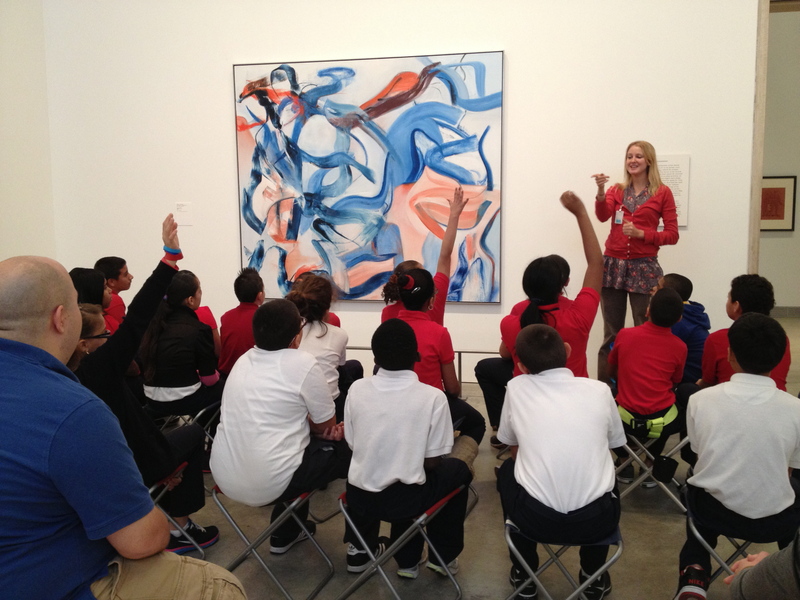 Students in the program learn about a variety of artists and art techniques, tour the Museum's galleries, and create their own works of art. In additional to weekly art classes and gallery tours, the program includes a student exhibition at the Philadelphia Museum of Art, an annual live cultural performance, and a community service public art project. Most importantly, the Delphi After School Art Club provides students with a safe and enriching place to spend after school hours. Here's a short video to learn more about the Delphi After School Art Club. The Delphi Art Partners Program is an "artist-in-residence" program which pairs professional working artists with middle-school-level classroom arts programs. The artists spend 30 hours in residence at the school and work with the classroom art teacher and the students to design and implement innovative art projects. The program is enhanced with two customized Museum gallery tours. Through Museum visits and hands-on classroom activities, the students use the visual arts to add an innovative artistic dimension to their school curriculum. The program includes an annual student exhibition and reception at the Philadelphia Museum of Art. This news article provides some detail about a school that participated in the Art Partners Program. The Delphi Art Futures Program is an artist-in-residence program that works with high school level students, many of whom are interested in pursuing a career in art or attending art school after graduation. The program provides an opportunity for the students to work closely with a practicing artist and learn about careers in art. The program is supplemented with two customized Museum gallery tours and includes an annual juried student exhibition and reception at the Museum. Prizes are awarded for the student art projects and each student is granted a one year pass to the Philadelphia Museum of Art. The Delphi Summer Teen Media Program is a six-week high school level summer program that provides unique training in the visual arts and filmmaking. The students select works of art from the Museum's world-renowned collection as inspiration for an individually researched and scripted film. Professionals from the Museum Education Department introduce the students to the Museum's collection, and filmmaking professionals from the Big Picture Alliance, Inc. train the students in camera techniques, script writing and acting exercises. The result is a short film produced, written, filmed by, and starring the students. Each student creates an individual film and students work as a team to create several group films. Students are paid a stipend and are eligible to receive high school credit for participation in this unique summer program. To learn more, click here to view a documentary film featuring students in the Program. The Teen Sketch Club targets high school students to provide arts instruction and enrichment to teens who might have little access to these resources in their school environment. Using the Museum's collection as inspiration, programming is designed to help students hone their art skills and develop portfolios for admittance to college or art school. 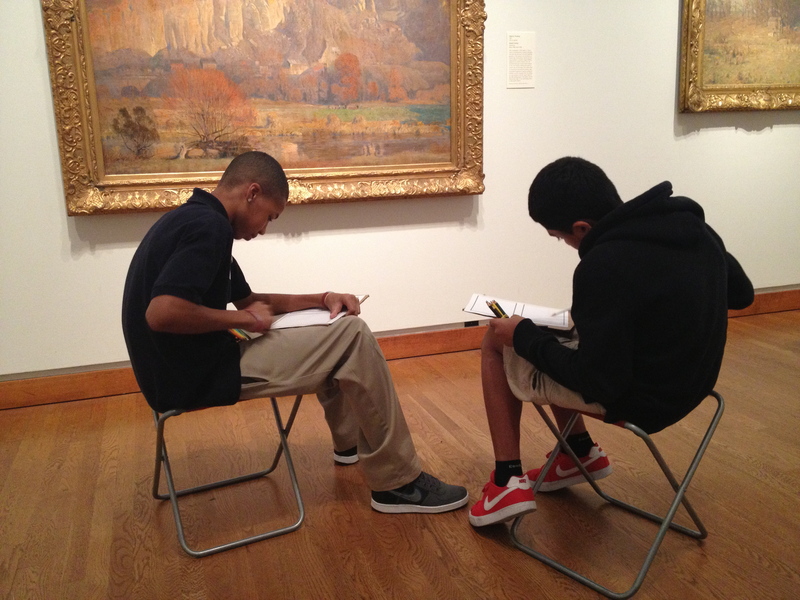 Teen Sketch Club includes 16 weeks of after school programming, and is led by Museum Educators as well as a series of professional visiting artists from the region.